For out-of-town visitors, we have arranged for several discounted room rates with local hotels listed below. We have tried to find our applicants quality accommodations at reasonable rates. BEFORE you try to find the cheapest rate on-line, bear in mind that these offers usually include free parking, free internet, and free breakfast. All are located near Palmetto Health and close to great dining. Once you factor in these costs, it is often cheaper (and much nicer) to utilize one of these discounted packages. Staybridge Suites is offering a reduced rates on Double Queen Bed and King Bed Suites. 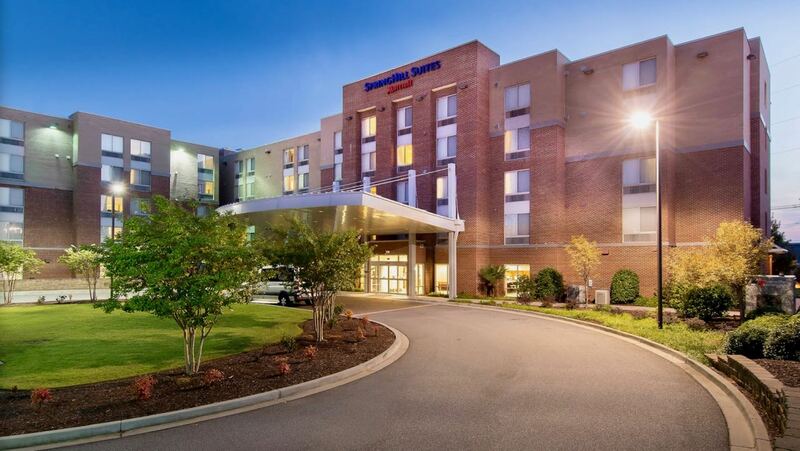 The new Staybridge Suites Columbia is an upscale hotel located in the historic "Vista" and just a few blocks away from great dining and shopping. You can call hotel directly for a reservation at 803-451-5900. Please tell them you are with "Palmetto Health Emergency Medicine" when making your reservation. You can call hotel directly for a reservation at 803-726-1607 for details. The contact person is Holly Boozer. Please mention you are interviewing with Palmetto Health Emergency Medicine program.